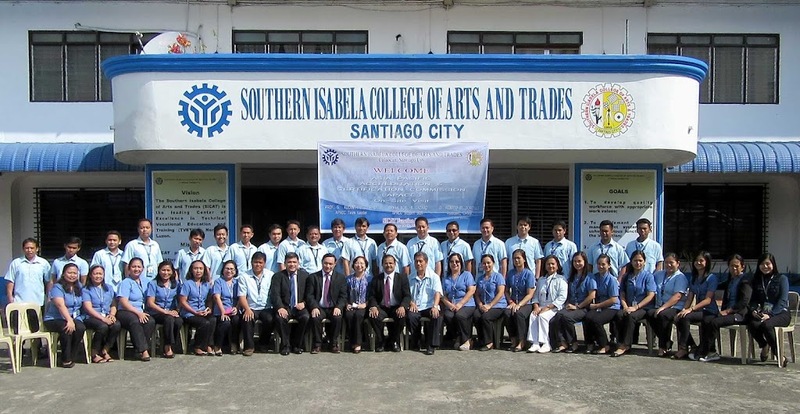 The Asia Pacific Accreditation and Certification Commission (APACC) returns to Santiago City for a 2-day reaccreditation visit at the Southern Isabela College of Arts and Trades (SICAT) from February 8 to 9, 2017. The on-site visit, a third time for SICAT, was led by Prof. Dr. G. Kulanthaivel as APACC Team Leader. He was with Carlos Hilado Memorial State College (CHMSC) President Dr. Renato Sorolla as Team Member and Mr. Bryan Noel Lazaro, CPSC Executive Secretary as APACC Support Staff for SICAT visit. The opening ceremony had Prof. Dr. G. Kulanthaivel and Dr. Sorolla delivered the Opening and Special Remarks, respectively. 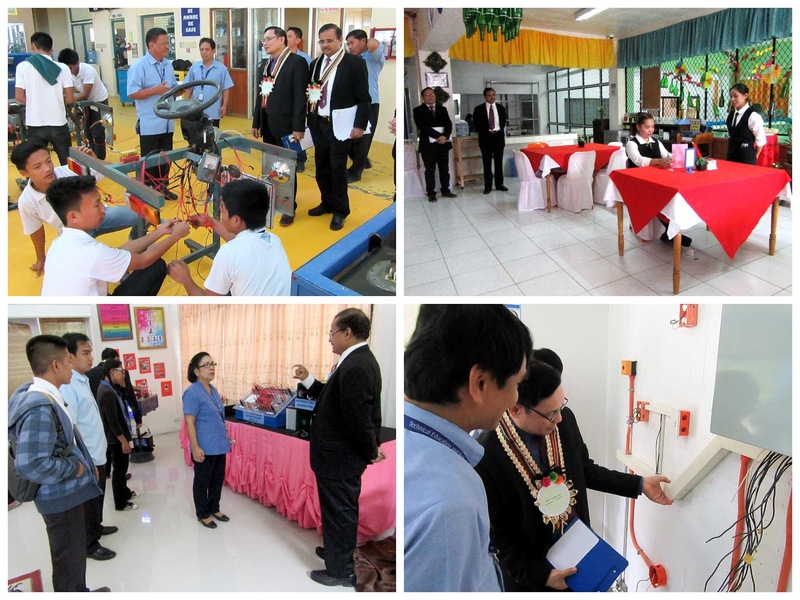 Aside from the officials, faculty and staff of SICAT led by newly appointed Vocational School Superintendent Ms. Perla Lucas, DPA, and TESDA Provincial Director of Isabela and concurrent TESDA Region 2 Officer-in-Charge Mr. Nestor C. Ave, Ph.D., graced the ceremony to provide support and guidance. Local government representatives such as Hon. Benzi Tan Chai from the Local Government Unit (LGU) and industry partners led by SICAT Private Industries Development Association (SPIDA) President Robert Alonzo, were also in attendance during the opening rites of the visit. The Southern Isabela College of Arts and Trades, located on SICAT Road in Calaocan, Santiago City, was established on June 18, 1964 as the Santiago Vocational and Industrial School (SVIS) by virtue of Republic Act 3922. From its humble beginnings, SVIS became significantly relevant to a lot of communities of Cagayan Valley, which led to its transformation into a College through the Republic Act 8075. As part of the College’s efforts towards continuous quality improvement and excellence, SICAT underwent the rigorous accreditation process of the Asia Pacific Accreditation and Certification Commission (APACC) and received Bronze award in 2008 and 2012. Interviews, observations, validation of the Self-Study Report, tour of facilities and document inspections were undertaken in the re-assessment of SICAT’s compliance with APACC standards. The activity revisited the institution’s performance based on the 7 APACC criteria for measuring quality: (1) Governance and Management, (2) Teaching and Learning, (3) Faculty and Staff, (4) Research and Development, (5) Extension, Consultancy and Linkages, (6) Resources, and (7) Support to Students. Results of on-site visit activities are communicated upon deliberation of the APACC Board accordingly.